What a week! My kiddos are still sick! Along with Flu and Chicken Pox, this week we had Bronchitis (thank goodness not contagious), and Pink Eye!! I awakened each day wondering which of the said illnesses I had contracted! Thankfully, none yet! You may knock on wood here! I also had camera issues this week! I wanted to take pics of our Polar Animal unit, but no go! And, Christi from Tales of a Tennessee Teacher was my Valentine Exchange partner! She gave me a precious necklace, some really cool nail polish, peanut m&m's, and a gift card to McDonald's to get some Sweet Tea!! Love their Sweet Tea!! I wish I had pics of her awesome gift! Love it all! Go follow her! I did manage to get in a few pics on Valentine's Day! Both of these activities are from Lindsey at The Teacher Wife. Love her stuff! Here's our Classmate Compliment table. The kiddos have really enjoyed writing sweet notes to one another! We're going to keep it up through February. We made Coupon books for our parents, too. "I will help her clean the toilet." "Cleaning the house for 5 minutes." A huge sacrifice, I'm sure! "I will not fuss when I do not get stuff." "A free hug everyday 'cause I love you. You're awesome." "Taking the trash and stinky diapers." "I will be good for a whole week. How good do I have to be?" 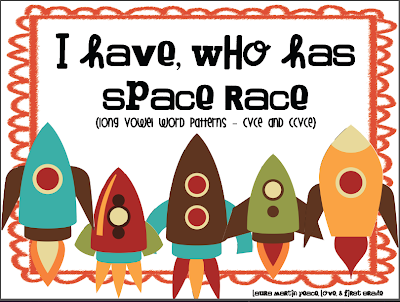 Last week, I was able to post a new item to tpt, "I Have Who Has-Space Race." This one uses CVCE and CCVCE words. "Sneaky e", "Magic e", "Super e", call it what you will! "I Have, Who Has" is a fun review and truly one of our favorites! Thanks to all who have purchased this fun game and my other items! 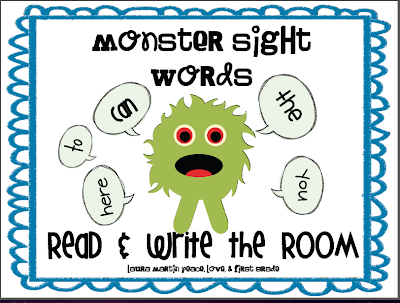 I have also had a few requests for some other activities using the Monster Sight Words from my freebie last week. One of the requests was for a "Read and Write the Room". I uploaded that to tpt today! This activity uses the same 24 words found in "I Have, Who Has-Monster Sight Words." 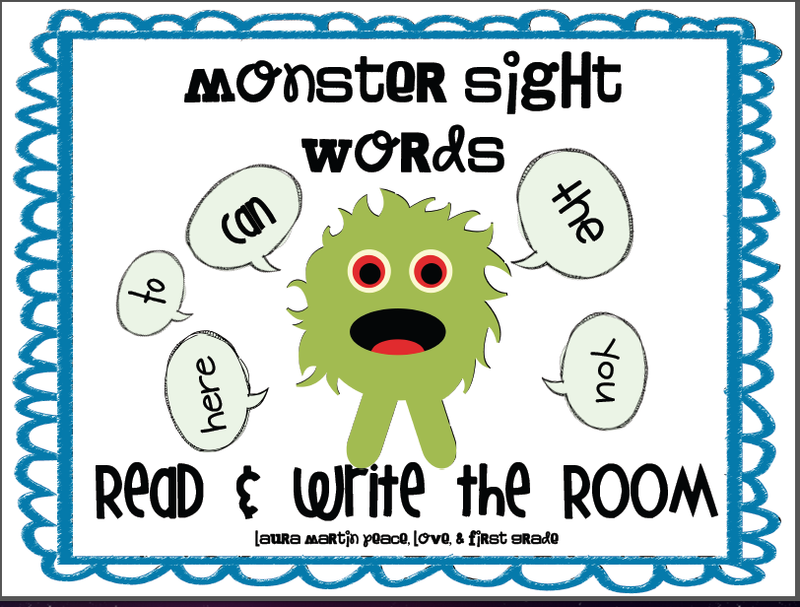 I hope you like my monster activities and can use them! You will find both activities here! I am enjoying our 3 Day weekend! For the last two years, we've lost President's Day to Snow Make-up days! This year, though, no snow! At least not yet! This IS Mississippi, but I'm still hopeful! I hope you have a long weekend! Have a great one regardless!